After going into labor at a Missouri hospital, a woman who finally got to hold her baby heard the newborn gasping for air. However, once she alerted nurses that her baby was in danger, she was shocked when they took one look at the infant and refused to do anything to save her. When 36-year-old Kristie Barksdale and her husband Steven found out she was pregnant, they were ecstatic. Likewise, when the parents of three boys — ages 13, 12, and 5 — discovered that they were finally having a girl, they couldn’t contain their joy. Unfortunately, the euphoria quickly wore off. Just weeks into her pregnancy, Kristie found herself in the midst of chaos. 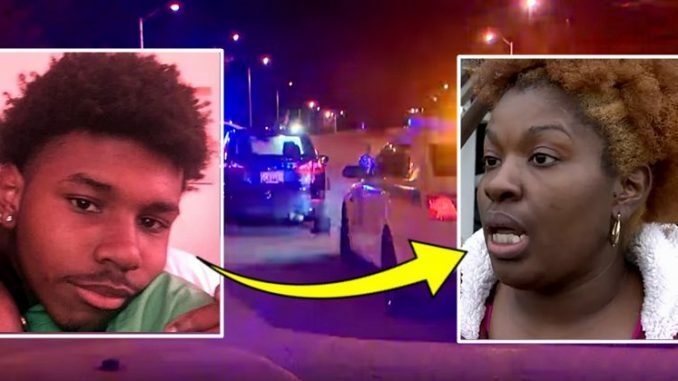 She was in and out of the local school, police department, and court after a group of bullies decided to make one of her sons the recipient of their wrath, according to Live Action News. Compounded with her age, she knew that stress added to the risk that her child would be born with complications. “I got bullied from their parents; it was on the front page paper. I was getting threatening messages from the kids and parents after my son got it all on video, and I posted it to find out who they were. I think it stressed me out so bad I went into labor,” Barksdale said. “I spent many days and hours at the schools, police department, court house,” she said. Unexpectedly, Kristie Barksdale began having labor pains and rushed to Mercy Hospital in Lebanon to deliver her child. After running a few tests, the medical staff prepared for delivery, and Kristie and Steve’s little bundle of joy was born in a matter of minutes. Once the nurses delivered the little girl, who was named BaileyJoe Anna, they placed the child beside her mother and stepped back. However, Kristie soon heard the newborn struggling to breathe, prompting her to alert the nurses of her daughter’s dangerous situation. Sadly, the medical staff had no intention of helping the little baby survive. The nurses ignored Kristie’s pleas for medical care for little BaileyJoe because the infant was born prematurely at 22 weeks, which they claimed meant she “couldn’t be saved.” Despite Kristie reminding them that babies even younger than her newborn had been saved through active care, the nurses refused to act or even call a doctor for help. When the nurses informed Kristie that they “weren’t equipped” to save a baby so young, she and her husband requested to be transported to another hospital that had such technology. Disturbingly, the nurses again refused, arguing that “she was too little to save” and leaving Kristie to watch her precious baby die in her arms. As the desperate couple pleaded in vain, their cries for mercy fell on deaf ears. The only response they received from the nurses was that “babies under 24 weeks aren’t savable,” which is patently false. Children born as early as 21 weeks have survived with the help of medical technology and active care. Instead, the nurses only offered palliative care, making BaileyJoe comfortable as she took her final breath. Devastated, Kristie and Steve returned home and informed their boys that their little sister had passed away. The loss was made even more difficult when Kristie received a call from the funeral home insisting that she make burial arrangements immediately. Now, Kristie Barksdale hopes that BaileyJoe’s short life serves as a warning to other expecting mothers to be informed of their hospital’s policies on premature infant care. Although the odds were against BaileyJoe’s survival, there was still a chance that active care from the nurses would’ve have saved her life. Despite the risk, this little girl at least deserved for the medical staff to try to save her. Her short time on this earth is a powerful testament to the care that premature babies deserve.